Energy Star appliances have met a particular standard of energy efficiency created for consumer products in the United States by the Environmental Protection Agency (EPA) and the Department of Energy in 1992. John S. Hoffman, inventor of the Green Programs at EPA, is widely credited for developing the program, while Cathy Zoi and Brian Johnson helped to implement it. Energy Star was one of a larger wave of voluntary eco-friendly programs fostered by the U.S. government like Green Lights and the Methane Programs. As a whole, the programs were intended to demonstrate the potential for profit that resource-conserving technology might hold. Energy Star initially targeted computer and printer products, but was expanded to introduce labels for residential heating and cooling systems in new homes in 1995. By 2006, there were more than 40,000 Energy Star products available in a variety of markets, from major appliances to office equipment to industrial generators to home electronics to commercial internet servers. Entire homes and commercial and industrial buildings can now be granted Energy Star labels. Energy Star has expanded geographically as well. 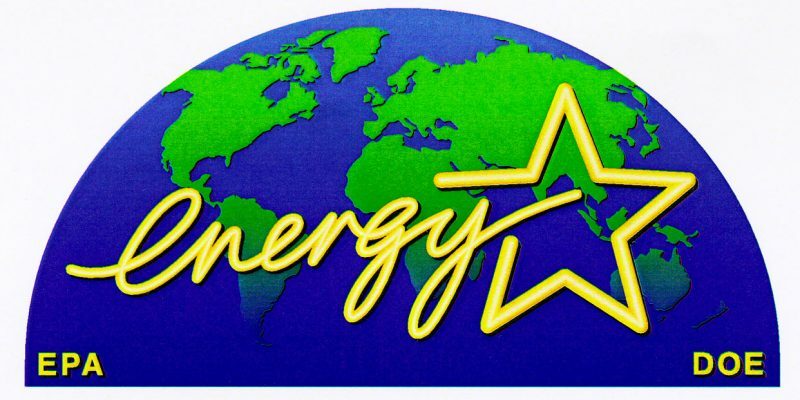 Since the program’s initiation, a number of nations have adopted the Energy Star program including Australia, Canada, Japan, New Zealand, Taiwan, and the European Union. According to the EPA, the Energy Star program likely saved about $14 billion in energy costs in 2006 alone, and it has only expanded its influence in the past decade. Many environmental and market analysts believed that the program has helped to encourage the widespread adoption of LED traffic lights, efficient fluorescent lighting, power management systems for office equipment, and low standby energy use. So how does a modern appliance become certified under the Energy Star label? In order for an appliance to qualify for an Energy Star service mark, it must use 20-30% less energy than what’s required by federal standards. The exact percentage can vary depending on the type of appliance being considered. For example, refrigerators must use at least 20% less energy than the minimum standard, but dishwashers must reach at least 41% savings. Dryers aren’t even rated by Energy Star because their technology hasn’t changed substantially in the past 50 years and in general their energy use varies very little from model to model. Nowadays, most appliances come with an EnergyGuide label regardless of whether they qualify for Energy Star certification. This label tells the potential buyer the annual cost of operation of the particular device compared to other models. The United States Federal Trade Commission oversees the creation of these labels so as to better inform the customer of the energy efficiency and cost effectiveness of the appliance. It’s important to note that even if you’re buying an appliance that has earned the Energy Star label, you’re not necessarily using the most energy-efficient device on the market. It may be considerably more energy efficient than the minimum standard of resource efficiency, but there still might be competing appliances more or differently efficient than the one you’re looking at. Dehumidifiers are a prime example of an appliance that comes at highly variable resource efficiency levels; any model that uses under 25 pints of water a day receives an Energy Star label so long as it has an energy factor of 1.2, but if the device uses somewhere between 25 and 35 US pints per day and has a higher (better) energy factor of 1.4, it will also receive an Energy Star rating. That means the best choice for the buyer depends on whether he or she prefers to save energy or water. Although it can get a bit complicated and even convoluted, as a whole the Energy Star program has been an international success and saved money and resources for over two decades. It’s definitely a rating system worthy of your attention when it comes time to buy a new appliance.